My Dining Partner and I decided to take a trip up to Bar Harbor, ME for a few days. We needed a getaway spot that wasn’t too far and wasn’t too expensive. We chose Bar Harbor because of its proximity to Acadia National Park, which is known to be beautiful in fall. Now, the most important thing about our trip to Bar Harbor was, of course, the lobster we would have. So, where would we go for such lobster? Guidebooks weren’t exactly useful and Yelp, well, you know the issues I have with that website, but a combination of these guides, along with the help of the world wide web, pointed us in the direction of Side Street Cafe. Located on a quiet street in downtown Bar Harbor, Side Street Cafe is an unassuming fixture among bakeries and Mexican restaurants (who would trust Mexican in Maine?). When we arrived at Side Street Cafe, the wait for a table for two was about an hour, so we walked around Bar Harbor, checking out local stores and freezing our tails off. At last, we were seated, and our waitress was beyond delightful. 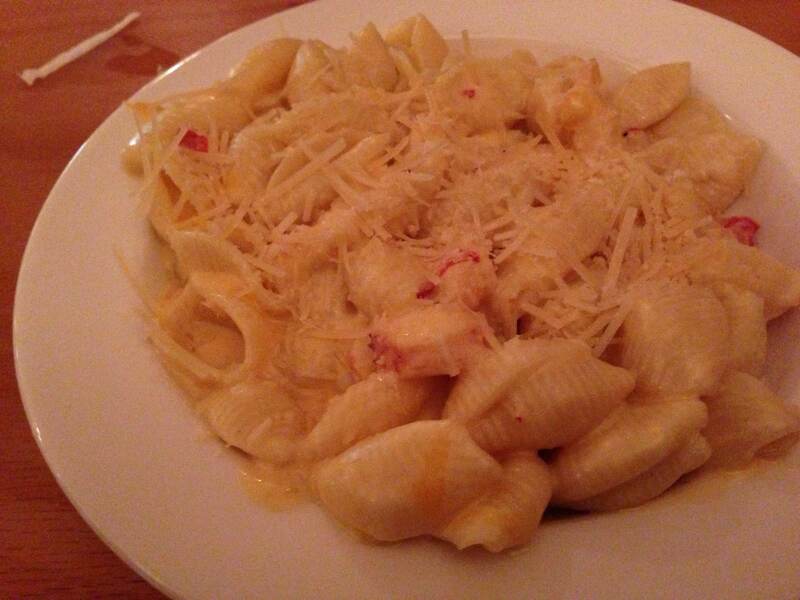 For an appetizer, I ordered the lobster macaroni and cheese, which is easily the best thing I ate all weekend. It was creamy with shards of parmesan cheese on top and big chunks of lobster throughout. It was, in a word, divine. My Dining Partner opted for the New England clam chowder, which was also delicious. Creamy and clammy, this clam chowder was mild and did not disappoint. For my entree, I ordered the lobster roll–one overstuffed roll filled with chunks of lobster dressed in mayonnaise and old bay seasoning. I loved it! 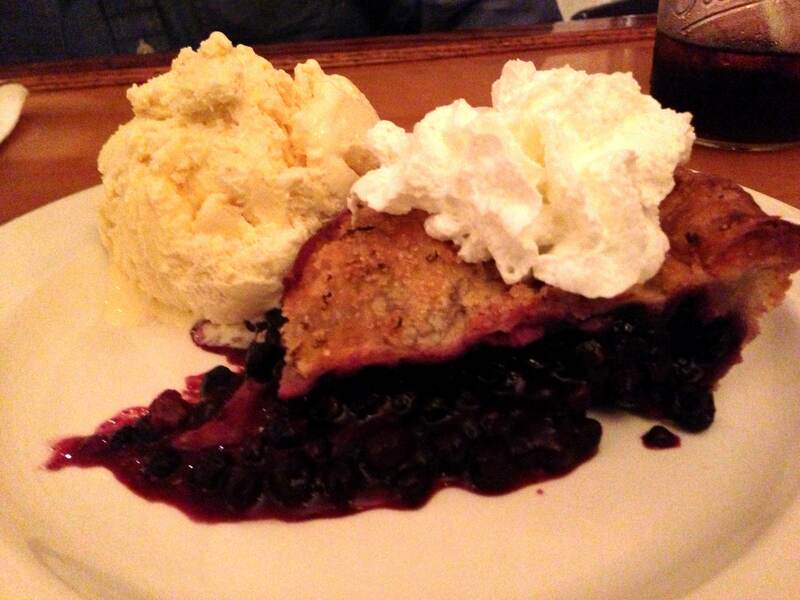 A trip to Maine wouldn’t be complete without a slice of blueberry pie. We ordered it warm with a scoop of delicious vanilla ice cream with whipped cream on top. The blueberries in the pie were whole and amply distributed throughout the pie shell. Side Street Cafe is well worth the wait, if you find one when you go there. 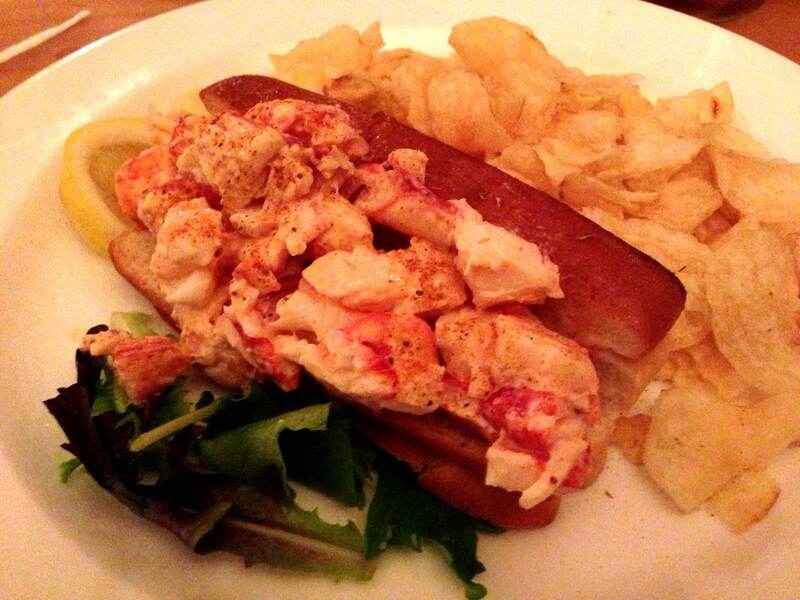 You can order just about anything with lobster, so I advise you to do so. You won’t be sorry!